Every friday at 20:00 CET we program the best National and International mix Deejays. Italo-Disco & High NRG. Sometimes a classic but most of the time recently made or first on air here on Radio Stad den Haag. Gwen 07-02-2019 . Categories: +mix, DJ Mix, Freaky Friday, Nieuws. 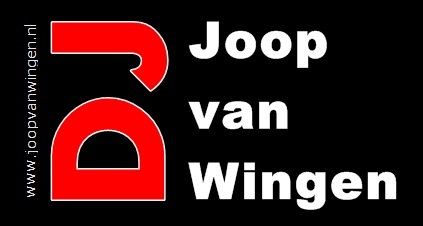 Tags: Disco-Mix, Discontinu, Discotheek de Marathon, DJ JW Jan Willem Rijnbeek, Electro, Eurobeat, High Energy, Italo Disco, Italo dj Mix, Italo Internet Radio, Italo mix, Marc Hartman, New Generation Italo, Peter Duijkersloot, Radio Stad Den Haag, Radio Stad in the Mix. Kick of is by Marc Hartman (Radio 10, APK mixen etc). Especially for you and for Radio Stad he made this Classic RSDH mix vol 2 with tracks from Gino Soccio, The Immortals, Kano, Deodato and so much more. Next is Ian Nguyen aka DJ BPM ( 80’s New Wave/Italo/Euro Disco DJ based in California, USA. He also works as Creative Director, Videographer & Editor.) And you might know for all his work with TQ. And last but not the least.. a mix by Sandmann. Mark Lobensteijn 23-08-2018 . Categories: +mix, DJ Mix, Freaky Friday, Nieuws. Tags: Disco-Mix, Discontinu, Discontinu mix, DJ BPM, Electro, High Energy, High NRG, Ian Nguyen, Italo Disco, Italo Disco High NRG House mix, Italo dj Mix, Italo Internet Radio, Marc Hartman, New Gen. Italo, NuDisco, Radio Stad Den Haag, Radio Stad in the Mix, Sandmann. Enjoy your summer holidays together with Radio Stad den Haag. We will keep making our live programs through out the summer vacation weeks. This weeks chart is from 1st of August 1987. You can look in all these charts Here.. *click* in our huge database. 20:00hr CET- Where ever you are, beach, balcony, work, at home .. listen and join the gang broadcasting live from the studio in The Netherlands. This evening is our guest and very good friend Eddy Mi Ami (edward) in our mids bringing 5! new releases from i Venti-records. Five folks, first and only on your radio Stad. We played the new JD Jaber, the new Clay Pedrini & the new Joe Letteri, the other 2 are re-issues all will be released in September on vinyl! And given us yesterday by Mirko Hirsch.. another world premiere called Midnight Affair ! Taken from the album that will be released on the 15th of august. Also this eve a crowdfunding project. Sander Maté from Hungary made an italo disco track and needs money to realise this… lets listen up tonight. After 10 oçlock Eddy only played pure disco hits from 1979, all from vinyl. Enjoy the downloads guys!!! You can find it in our download section. You can also see the shows on you tube and we are on mixcloud!! Gwen 12-08-2018 . Categories: +mix, clip, Download, Haagse Flitsende 50, i Venti, Live Show, new release, new release, Nieuws, Stad Disco Zondag, Video, vinyl. Tags: Clay Pedrini, Disco-Mix, Eddy Mi Ami, Edward den Heijer, Haagse Flitsende 50, Haagse Radio piraten, High Energy, holidays, I Venti d'Azzurro, I venti Records, Italo Disco, Italo dj Mix, Italo Internet Radio, Iventi Records, JD Jaber, Joe Letteri, Live Request Show, Marc Hartman, Mirko Hirsch, Radio Stad Den Haag, Stad Sundaynight Live, Studiocam, Summer 2018, vacation, Vinyl.